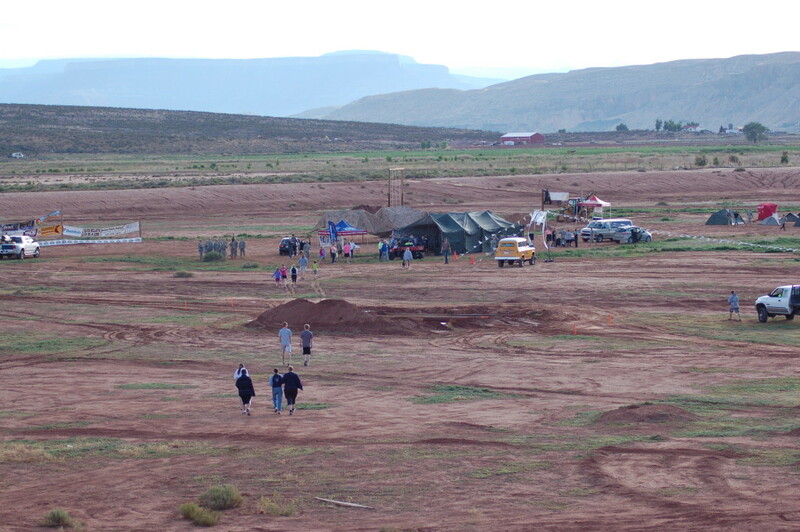 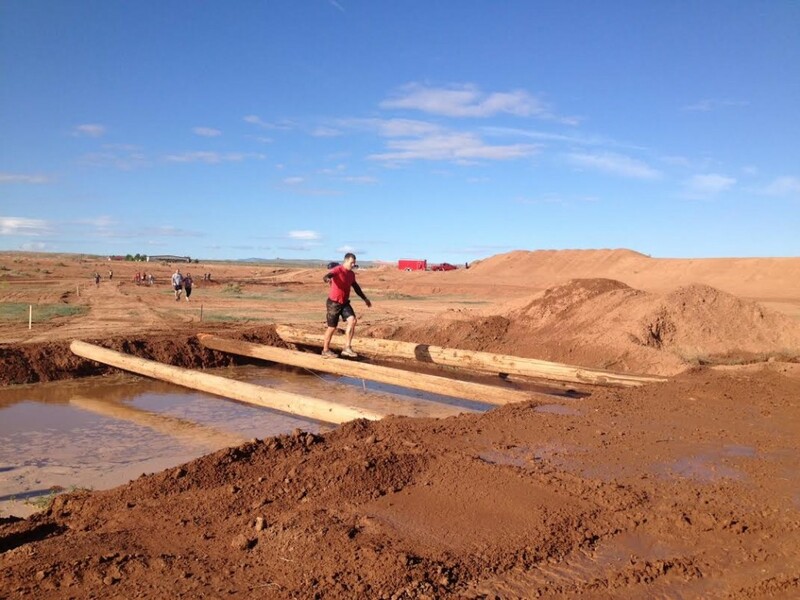 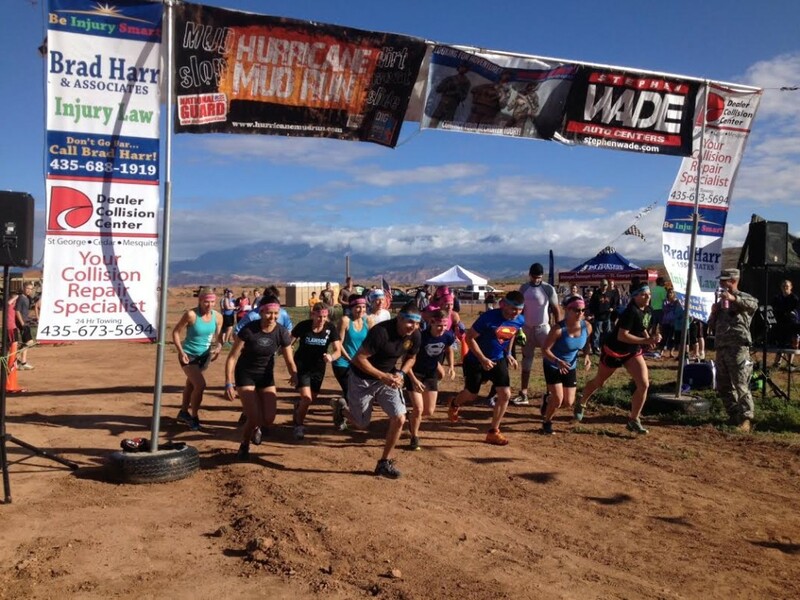 HURRICANE – The desert scenery of Hurricane was dotted with tents, obstacles, mud and a whole bunch of enthusiastic runners Saturday morning as the ground just east of Sand Hollow Reservoir was transformed into the course of the approximately 3-mile-long Hurricane Mud Run. 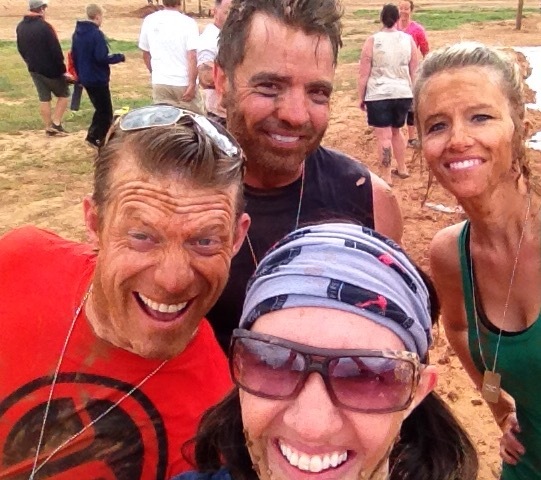 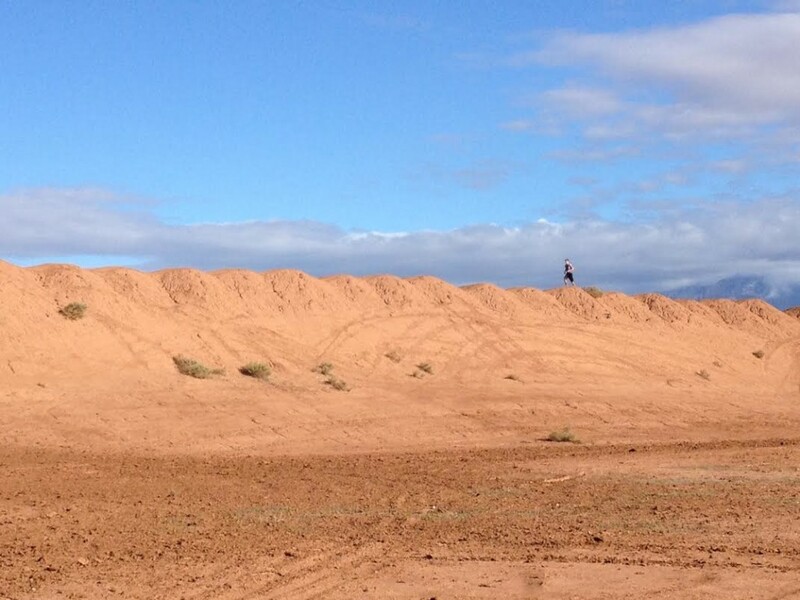 Catch the St. George News crew hitting the mud! 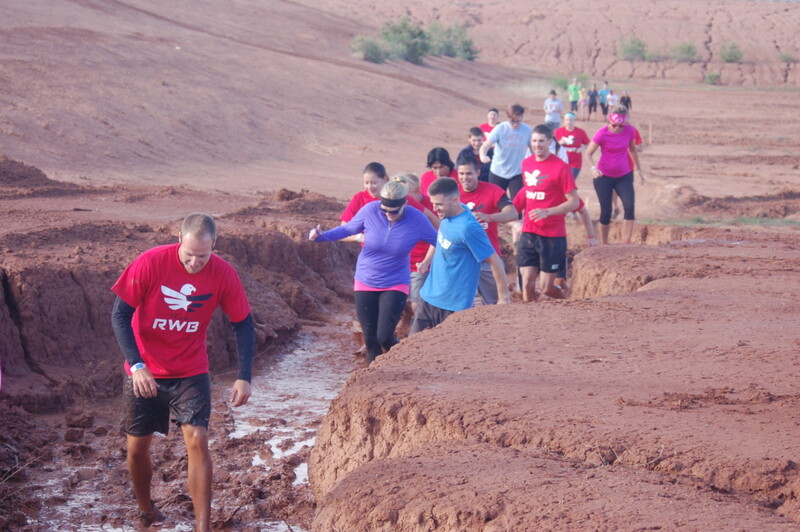 On what race director Chris Mathisen previously called the “best mudhole in the known universe,” runners both competitive and casual put their physical prowess to the test as they slipped, ran, jumped, crawled and balanced their way through the military-style obstacle course. 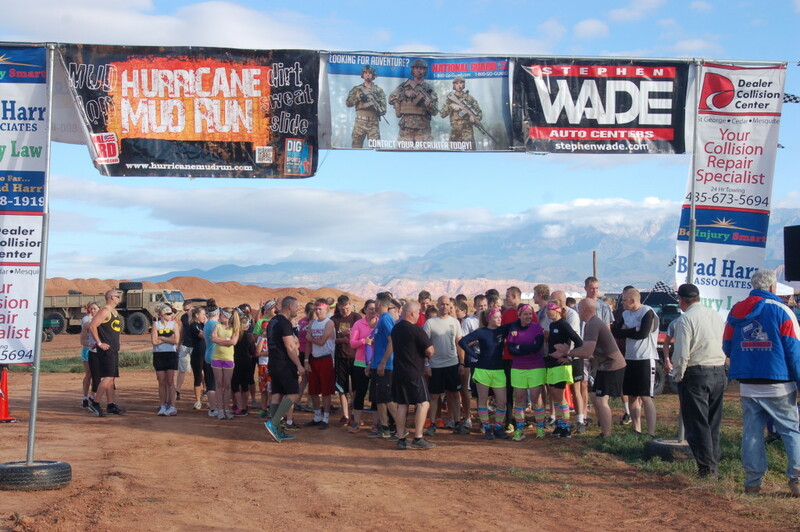 The race began in the early morning light with a rendition of the national anthem sung by Hurricane City Royalty members Mataya Rosander, Cameryn Sorge and Sabrina Holmes, along with Hurricane Mayor John Bramall. 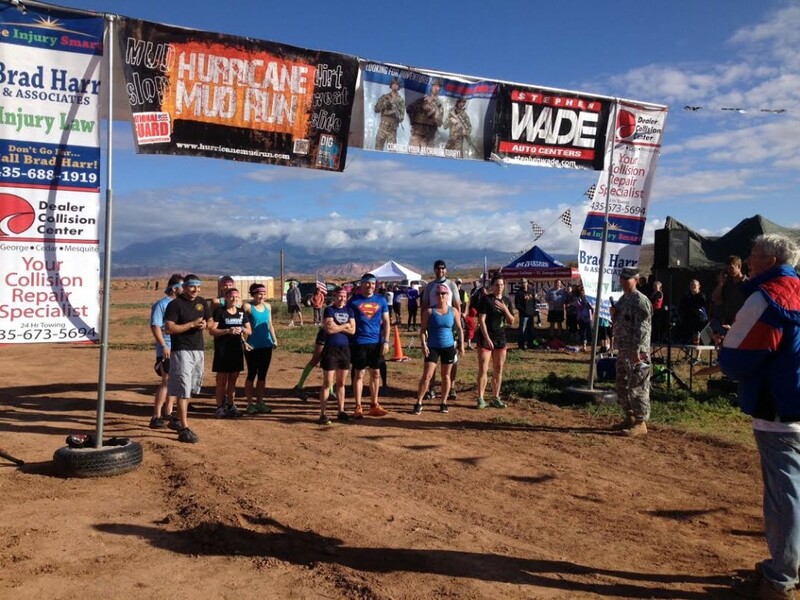 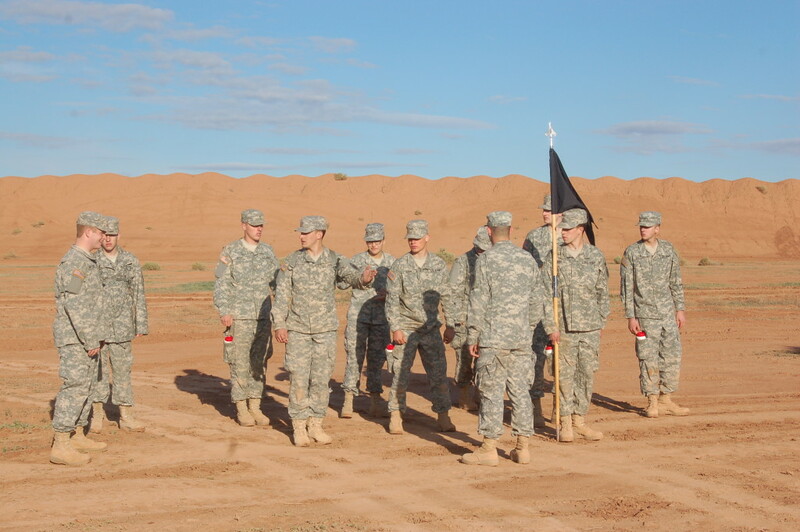 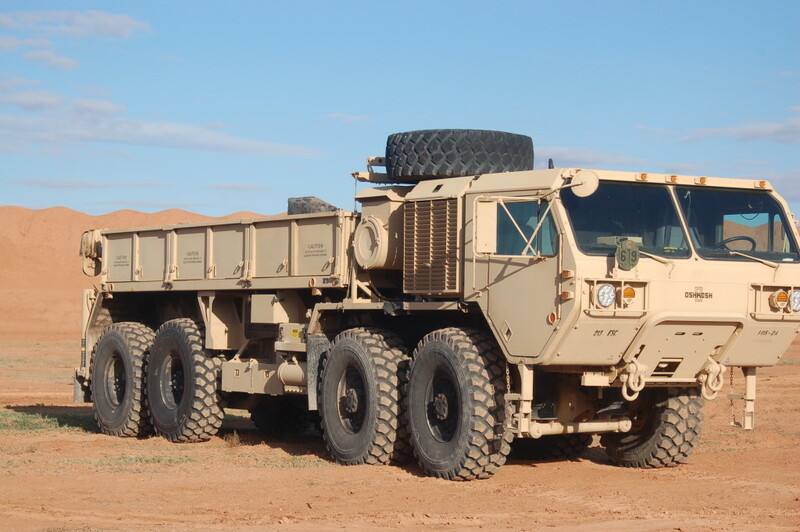 The race was supported by the Utah Army National Guard, which provided help throughout the race – everything from directing traffic and race check-in to manning the obstacles and providing water along the route. 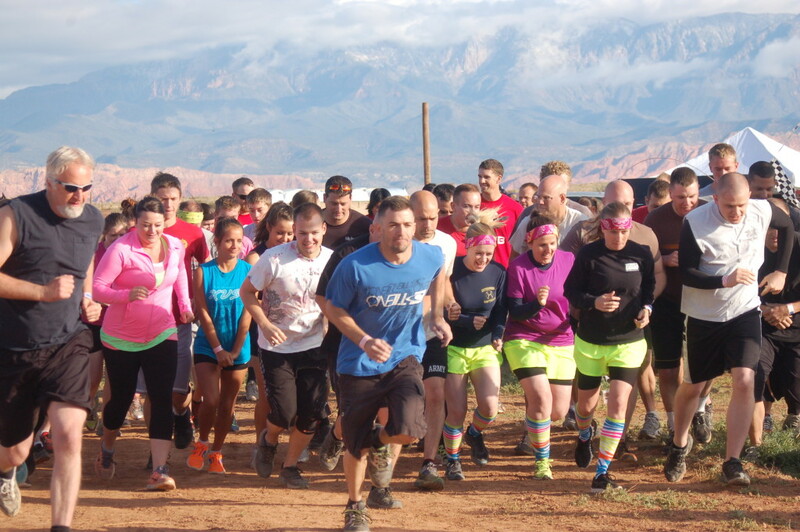 The first wave of runners, made up of National Guardsmen and women along with their friends and family, took off at 8 a.m. to the sound of a foghorn, and the race was on. 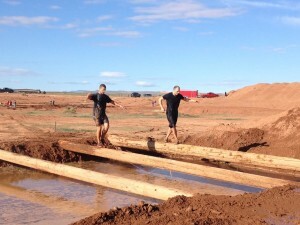 Throughout the morning, runners could be seen balancing on poles, running up and down steep hills, losing their shoes and flinging mud at each other. 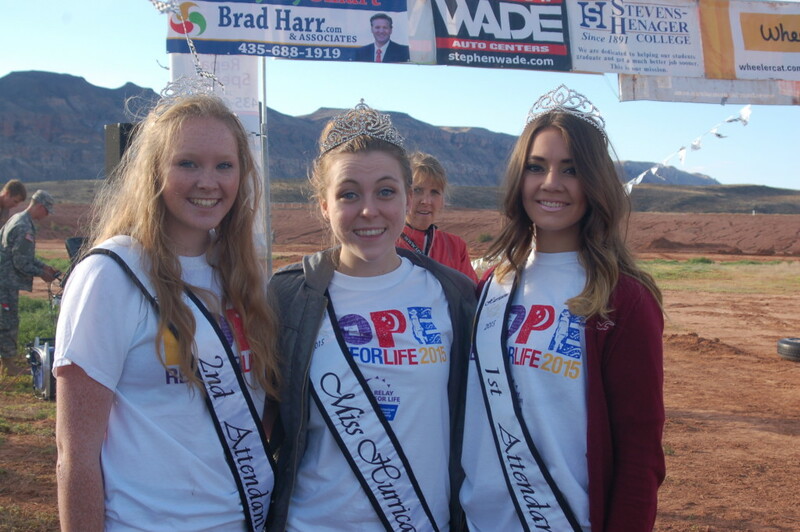 “You can tell it was a success by the smiles on their faces,” Mathisen said. 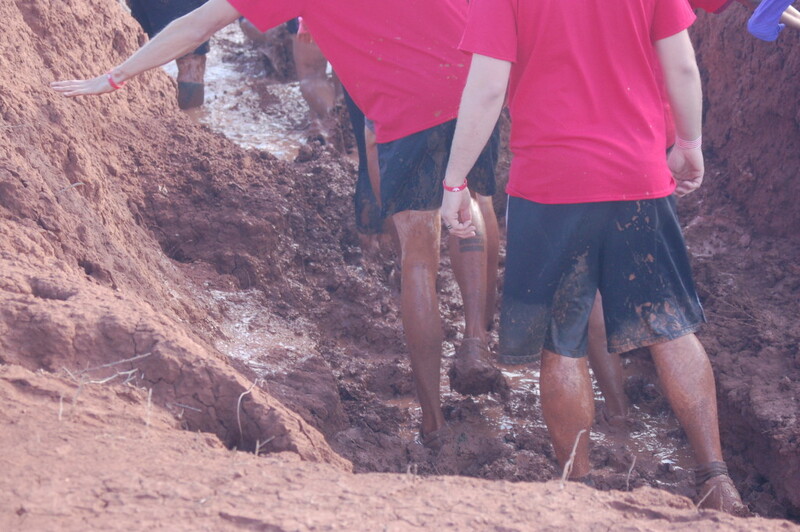 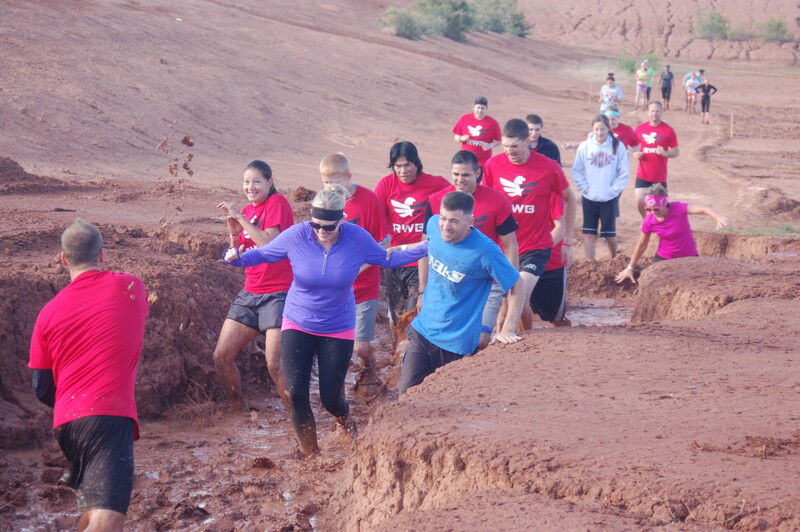 St. George News fielded a team of runners at the event and caught all the muddy action.